For our project, we were assigned to create a cube based of planes that follow the Fibonacci Sequence. The planes were situated in an 8 by 8 cube to create the form of building structure. The Fibonacci sequence is represented by this spiral, which is divided into boxes of the ratio. This sequence can be seen not only in manmade structures, but nature as well, in snail shells and flowers. ​This Drawing was an exercise to prepare us for the future assignments. 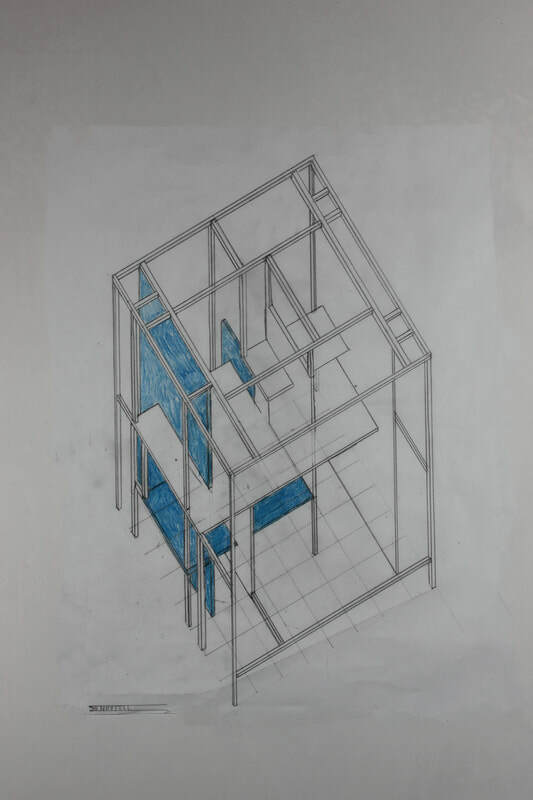 It taught us how to correctly plan our drawings, and taught us the several different forms of sketching a building, and how to sketch using these methods. 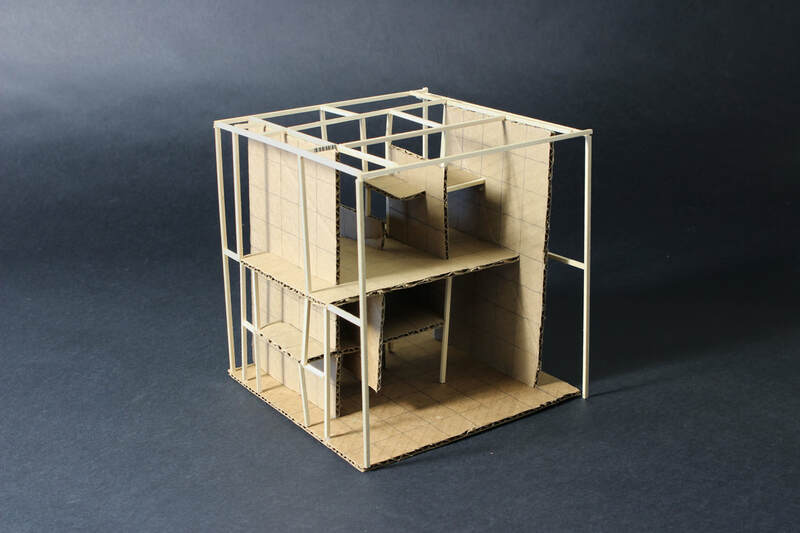 The plane study model was the basis of our entire project, and we based the entire project off of it. The planes are made based off the Fibonacci sequence, and they become rooms based on how you look at it. The final cube is built off the original plane, and it can be formed into a building as well. The Final Cube was represented on paper in two ways. The first was an isometric cube, which showed the full shape of it, and allowed it to be scaled down. 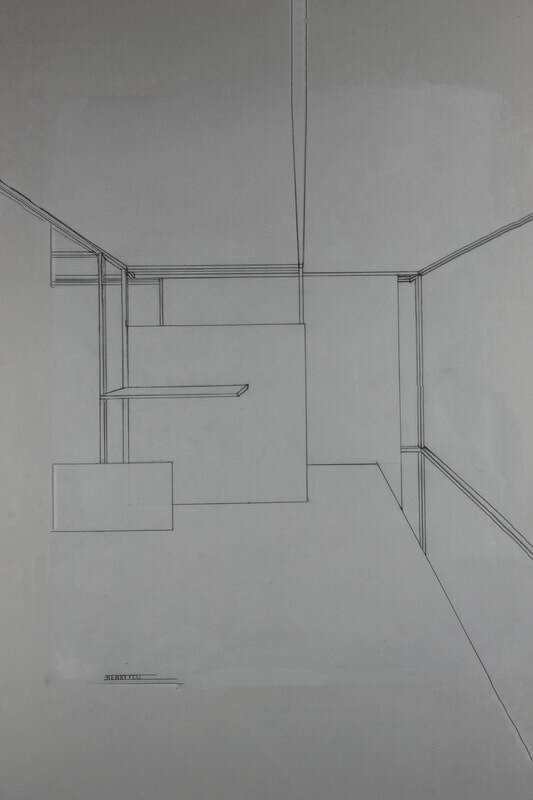 The Second was a perspective drawing, which developed space and distance between certain planes. It shows a new "perspective" on the planes, and gives it a more building like aspect.